East West Realty new home listings and homes to be built. Look at what homes are available in Liberty Ridge! All homesites are 3+ acres and offer wooded privacy yet are seconds away from all Williamsburg and the surrounding area has to offer! Not finding exactly what you are looking for? Contact us today to tour our available homesites and to design the home of your dreams! 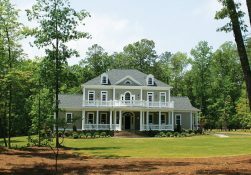 Stunning forested homesites beckon grand homes, each positioned for optimal privacy on 3 acres of highly elevated, with scenic views. Prospective homebuyers can select a lot to build when the time is right. Check out our available homesites HERE, prices start at $157,500.